What will hopefully help developers work on VR projects using Valve's experimental "Knuckles" controllers, Valve have opened up the source code for their Moondust Knuckles Tech Demos. Their Moondust GitHub repository appeared on the 12th of this month, although until today it remained mostly empty. They've now updated it and put it out for the public to take a look. This is the source code and assets for the Knuckles Tech Demos. The project has been updated to Unity 2018.2 and uses the new SteamVR Input System. It is meant to only work with Knuckles EV2 and EV3 controllers. Nearly all assets are under the 3-Clause BSD License with the exception of things in the Assets/Portal folder. Those assets were taken from portal 1 and portal 2 and should not be used or distributed in your own projects. They are included to complete the source assets for the project. 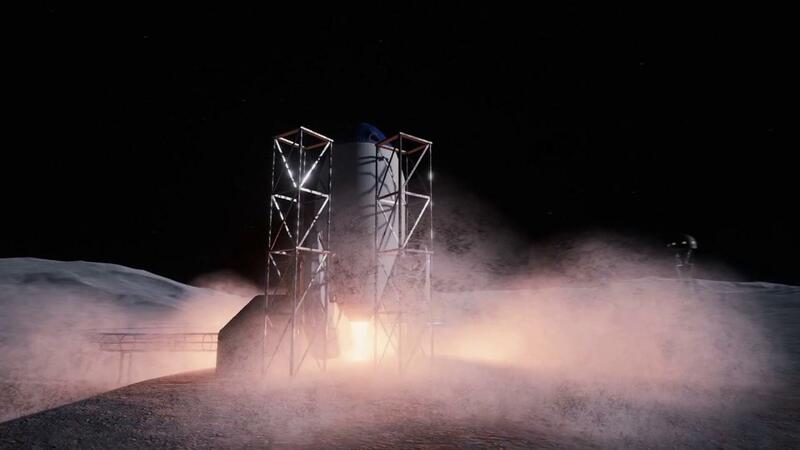 For more information about Moondust, see here. The GitHub can be found here. 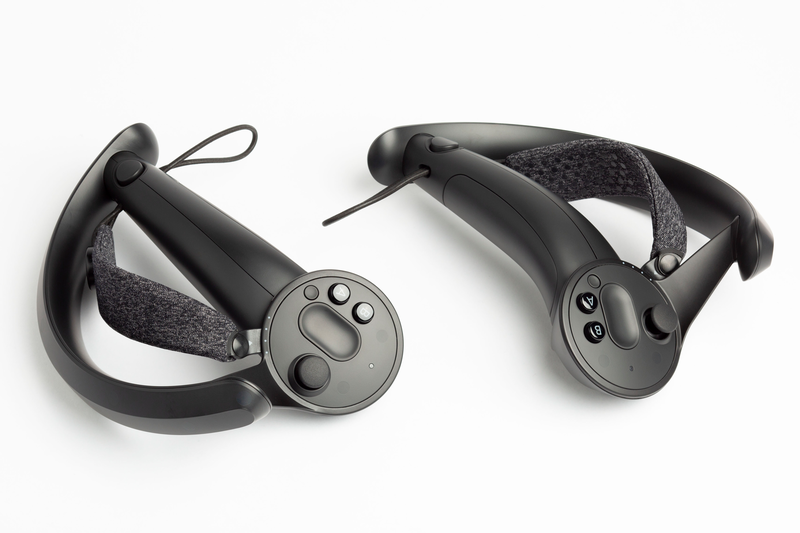 You might notice that Valve mentioned "EV3 controllers", well that's because they also announced today a third iteration of the Knuckles VR controller based on feedback from developers. The EV3 controllers include updates to "input feel, strap design, battery life, and more". They speak about them in a little more detail here where they mentioned a lot more going out this time around, so they're obviously getting more confident with the design of their next generation VR controllers. No mention of when they will be available to the public yet, we may see more revisions after this. I wonder if virtual keyboard would be reliable with those. AFAIU the specs they can detect not only the releasing of a single finger but also the proximity of the finger to the controller so in theory displaying a standard QWERTY keyboard and detecting key "press" should be possible. Goodby mechanical clicks, hello force feedback? cprn I wonder if virtual keyboard would be reliable with those. AFAIU the specs they can detect not only the releasing of a single finger but also the proximity of the finger to the controller so in theory displaying a standard QWERTY keyboard and detecting key "press" should be possible. Goodby mechanical clicks, hello force feedback? Agreed! Give me that and an 80 inch TV and I'm golden in 80% of games. No need for the bulky 555 grams around my head. This does look interesting, but is there anything for Linux here? The controllers would still need light houses to function however? I can't see how they'd work without them or are they pure gyro/sensor controllers? Linas This does look interesting, but is there anything for Linux here? And this project is built with Unity. As always, I cover things that are interesting even if right this second it's not perfectly on Linux. TheRiddick The controllers would still need light houses to function however? I can't see how they'd work without them or are they pure gyro/sensor controllers? Yes, they still require the lighthouses in order to use them. Pure gyro tracking becomes ridiculously inaccurate overtime and honestly the math involved in getting this data from them almost makes it feel like it's not worth the effort. cprn Agreed! Give me that and an 80 inch TV and I'm golden in 80% of games. No need for the bulky 555 grams around my head. Personally, I've always despised TV for, well... just about any task. I'd prefer multiple smaller monitors or micro projectors. Greater pixel density, better prices, more configurable, and none of that "smart" TV nonsense(yet). About the "bulkiness" VR headsets, of all the headsets I've used( GearVR, HTC Vive, and PSVR), none of them have ever felt uncomfortable except around the bridge of the nose. However, the headset is not supposed to rest there, it needs to be adjusted to rest mostly on the back of your head and forehead. PSVR, due to it's halo design, made it really easy to achieve this. I only tried HTC Vive Pro in a gaming cafe. It was neither functional nor comfortable. Didn't matter how much I tightened the only strap there was, it would rest on my nose bridge (I don't have a big nose) and it was moving dragging my face in every possible direction each time I jerked my head quickly (which, let's be honest, VR games make you do a lot). I get the Pro version is bulkier than the original (~700 grams) but I can't imagine the non-Pro being much better. And yeah, TVs aren't great. But with current prices, nah, I just bought the biggest they had instead of a projector to watch movies and couch-game.